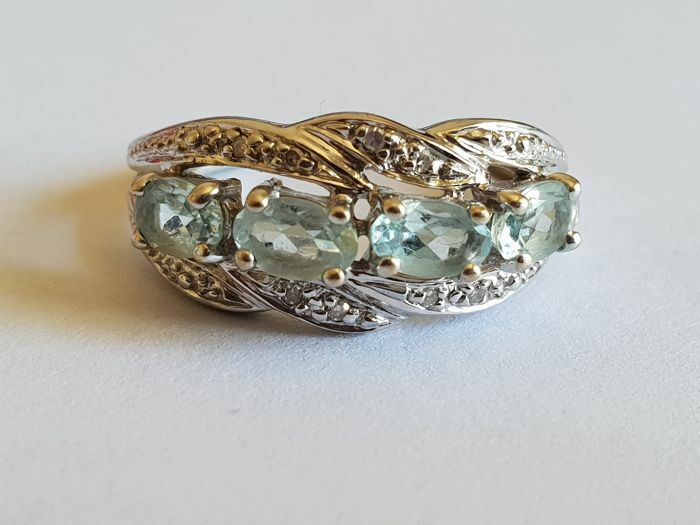 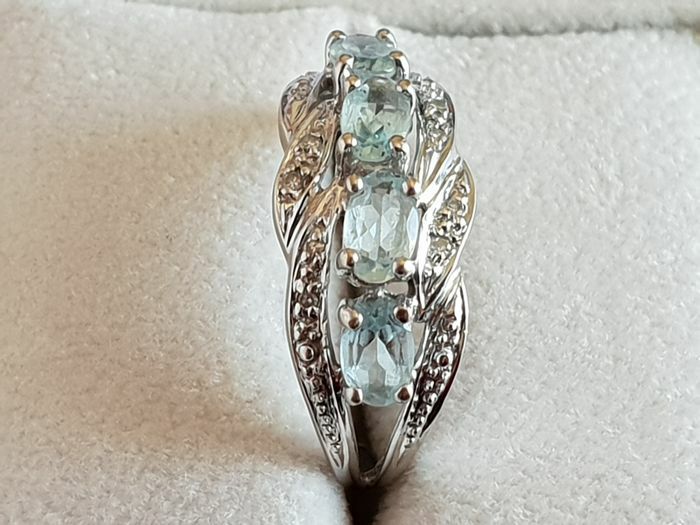 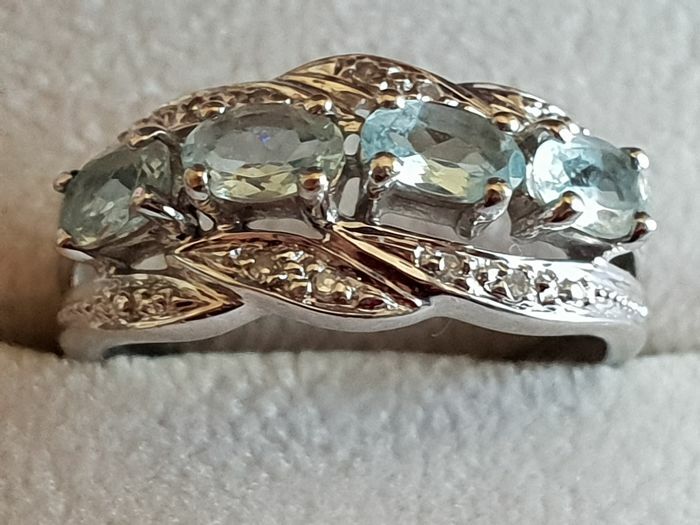 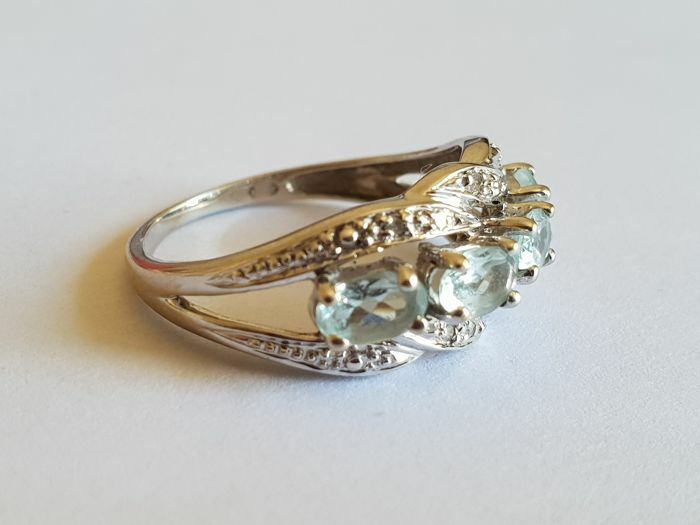 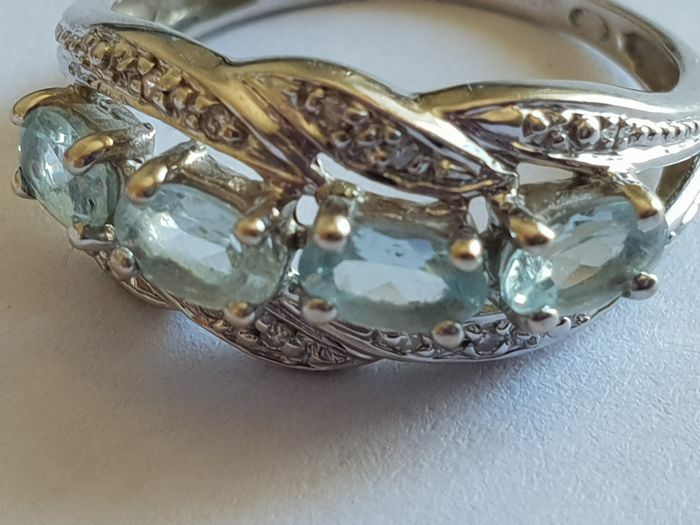 Women's white gold ring with aquamarines and small brilliants. 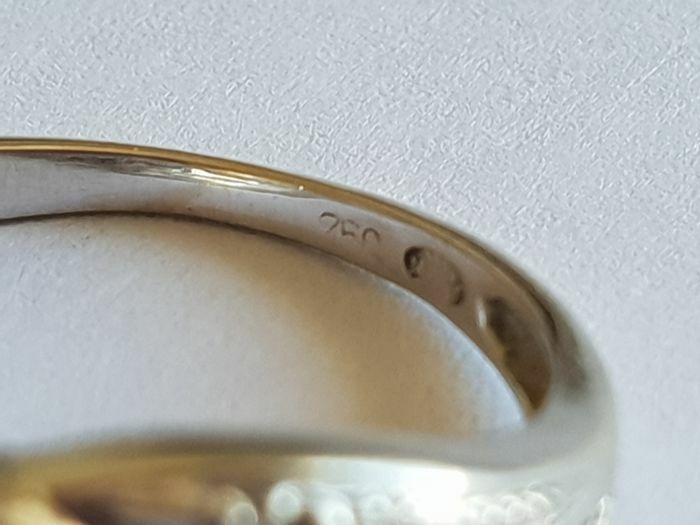 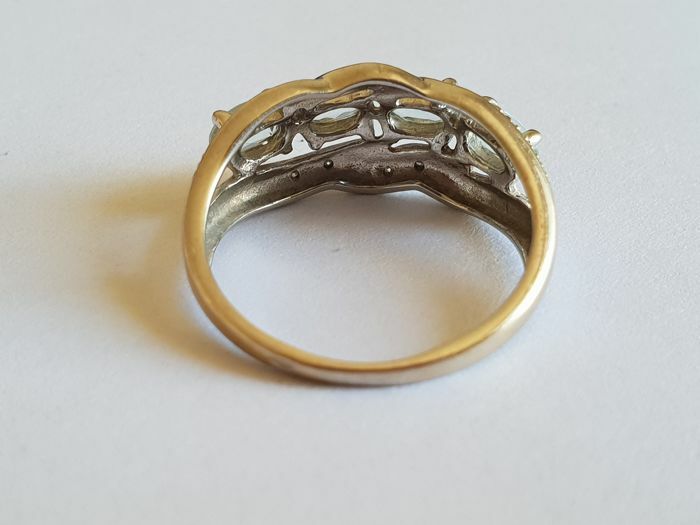 In very good condition, minor signs of wear. 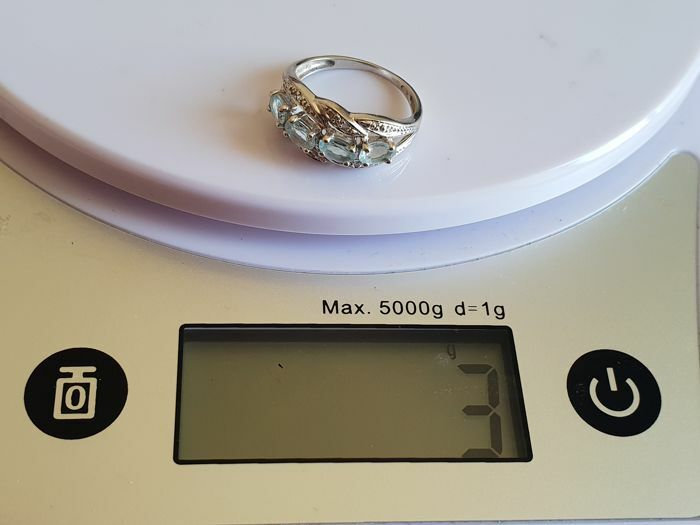 Registered shipping with level 2 insurance against signature.